Print article This entry was posted by KaitWallace on 30 March 2010 at 6:39, and is filed under Advocacy. Follow any responses to this post through RSS 2.0. You can skip to the end and leave a response. Pinging is currently not allowed. Thank you so much for helping us to fight for access to screening down here. 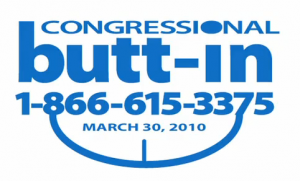 Hey, if you want to get a bit more cheeky, tell your representative that you need screening, no butts about it- by sending him or her a little message through getyourbuttseen.ca. It is our pleasure to talk about the awesome work you’re doing! A person’s access to screening shouldn’t depend on their zipcode. The CCAC wishes you the best of luck!